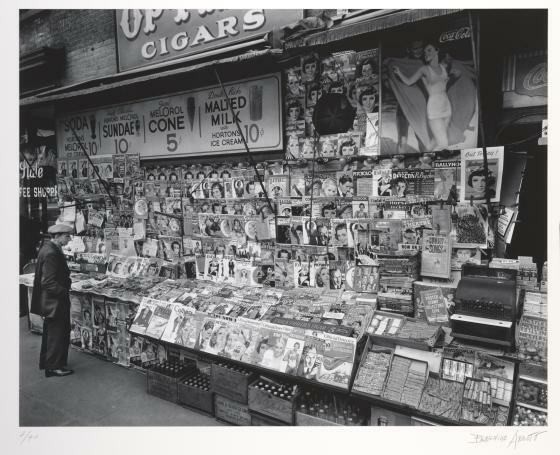 The newsstand at the southwest corner of 32nd Street and Third Avenue is typical of what the public reads. Over 200 magazines are handled, but it is sales from the metropolitan daily newspapers which keep the business going. 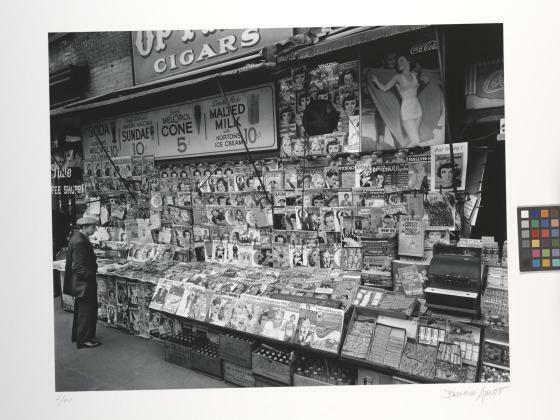 Elizabeth McCausland, caption for “Newsstand,” in New York in the Thirties [former titled: Changing New York], (New York: Dover Publications, Inc., 1973; New York: E.P. Dutton & Company, Inc.,1939), plate 52 (np).